[The Hockey News] - The Hockey News Podcast: Can Steve Yzerman save the Red Wings? Can 'Stevie Y' right Detroit's ship as GM? Who wins the Game 7s between Toronto/Boston and Vegas/San Jose? And more. 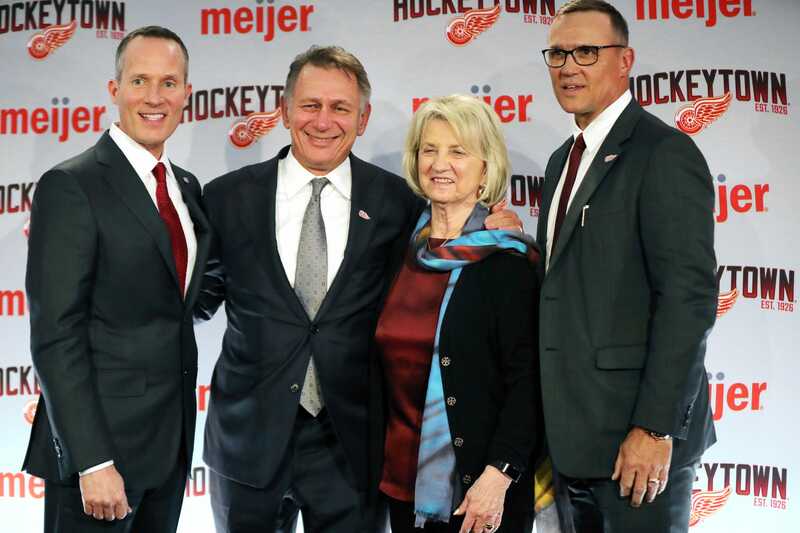 After two decades running the Red Wings' front office, Ken Holland is taking a step back to make way for new GM Steve Yzerman. But we won't know what the future holds for Holland until he adjusts to his new life. After a weekly series tracking the power play this season, here’s the season end edition. ► Buyouts/trades: The buyout period is June 15-30 and though it’s unlikely, forwards Justin Abdelkader and Frans Nielsen are two players with multiple years left on their contract whose roster spots could be used for younger prospects. [SB Nation: Winging It In Motown] - How Aggressive may Stevie Y be in Year 1? With a new era upon us in Detroit, everyone is wondering just how quickly things may get back to normal. I’m here to help answer that. Calder Cup Playoffs - Central Division Semifinals - Game 2 - Series Tied, 1-1 ROSEMONT, Ill. – Three goals during the second period proved to be the difference for the Chicago Wolves on Saturday, as they tied the Central Division Semifinals with a 3-2 victory over the Grand Rapids Griffins at Allstate Arena. Heard today that Yzerman might bring Sergei Fedorov into the organization.Fedorov currently doesn’t have a “solid” job in hockey and he and Yzerman remain close.If true, Fedorov should demand a hefty salary, great benefits and of course his number hanging from the rafters.— Jeff Riger (@riger1984) April 19, 2019Oh, really? In today's NHL rumors there are updates now that Steve Yzerman and Ken Holland are both in Detroit, how the Penguins will add assets, pending UFAs and more. With Steve Yzerman officially leaving the Tampa Bay Lightning, the franchise has capped off one of their worst weeks in team history.